Luxury Outdoor Dining Tables & Chairs. Modern Design + Premium Quality. It’s a barmy summer evening, and friends are arriving. Our luxury outdoor dining tables & chairs allow you to entertain your guests in maximum comfort and style. 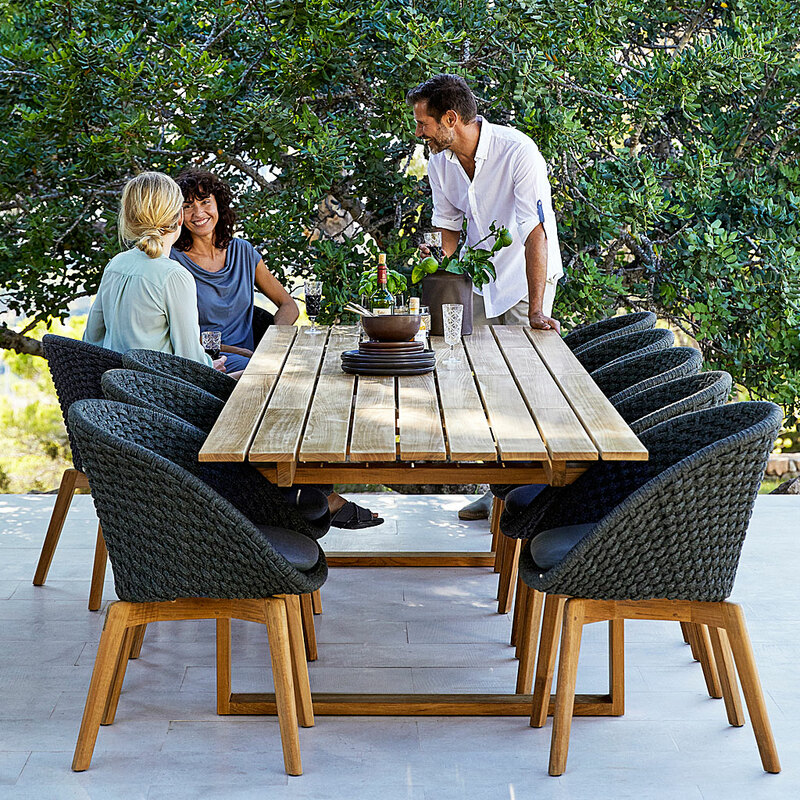 We have modern garden dining tables in a wide range of styles including rectangular and square garden dining tables, round and oval outdoor dining tables and quality extendable garden dining tables and more. For your maximum comfort we also offer a wide range of high quality modern garden dining chairs. All of this beautiful garden furniture is available in a range of colour and material finishes to fit perfectly into your outdoor entertaining space. Our designer outdoor dining tables & chairs are created by leading European designers for companies including Royal Botania, FueraDentro, Coro, Viteo, Talenti, Grythyttan, Vondom, Conmoto, Fixform and more. Our collections include cutting-edge modern design garden dining furniture such as Royal Botania Ninix through to the retro style Grythyttan A2 dining furniture, a vintage design classic from the 1930s. 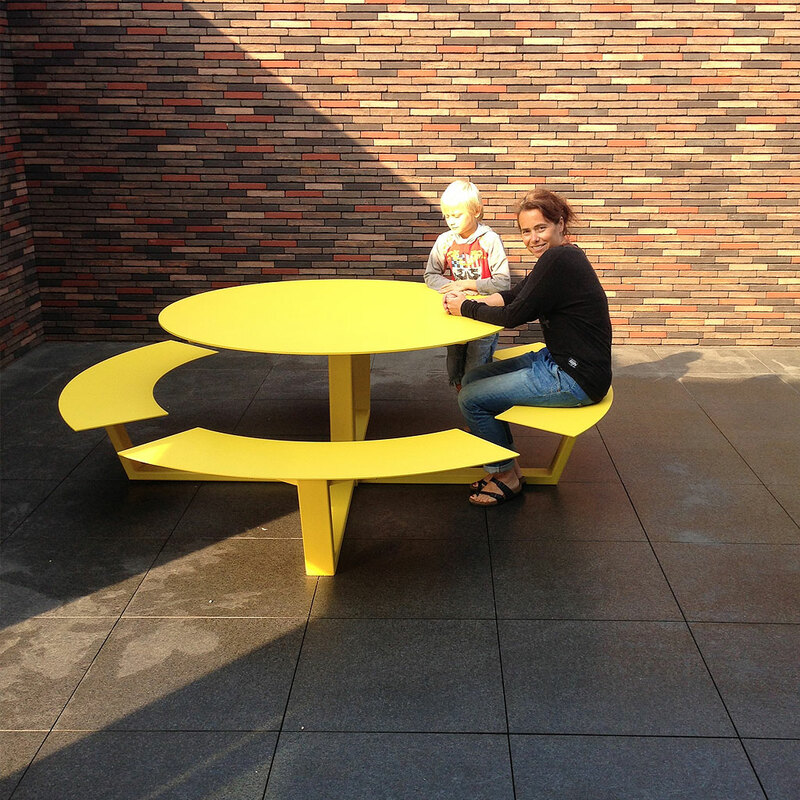 For your peace of mind, all our contemporary outdoor dining tables & chairs are made using only highest quality all weather materials including powder coated or brushed stainless steel, powder coated aluminium, galvanised steel, Batyline mesh, synthetic fibre, A grade teak, Corian, ceramic, toughened glass and HPL. All collections of premium quality garden dining furniture are suitable for residential and hospitality projects.